The Forum attracted over 80 Korean companies involved in manufacturing, logistics and warehousing, agriculture and agro-based products, tourism and leisure industry, infrastructure, and knowledge-based industries i.e. IT / BPM, among others. 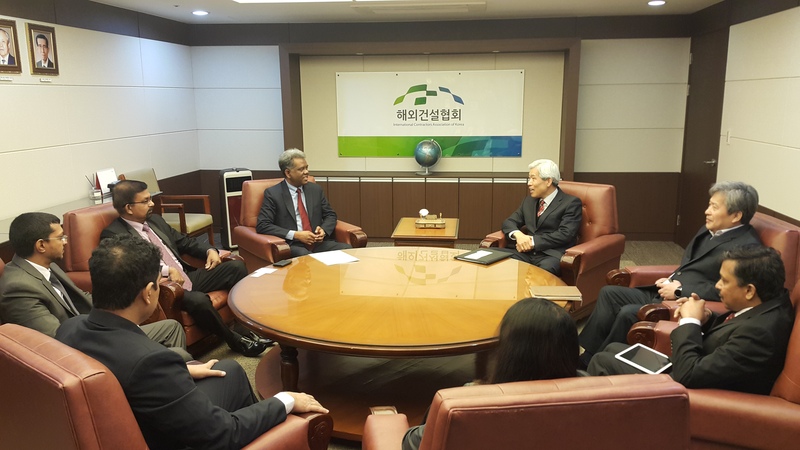 Chargé d’ Affaires of the Embassy of Sri Lanka in the Republic of Korea Jagath Abeywarna welcomed the senior representatives of the companies, and Korean dignitaries including Honorary Consul of Sri Lanka in Gyeongsangnam-do Dr. Seo Minjae who attended the event. During his speech, Chargé d’ Affaires Abeywarna highlighted that Sri Lanka is very keen to attract Korean investment along with Korean know-how and technology. He added that Sri Lanka would be able to benefit from the Korean new technology and hi-tech manufacturing, as the Republic of Korea is playing a leading role in the field. Presentations on available investment opportunities in Sri Lanka were made by Additional Secretary Madhawa Waidyaratna of the Ministry of Megapolis and Western Development and Executive Director Prasanjith Wijayatilake of the Board of Investment of Sri Lanka. Director Yang Dongcheol of the Korea Exim Bank made a presentation on the financial support available at the Korea Exim Bank for the Korean companies. The Forum was followed by a B2B Meeting organized by the KCCI with the participation of Sri Lankan delegates and Korean companies who attended the Forum. The Embassy also arranged a series of meetings for the visiting delegation from Colombo with senior representatives of Korea Overseas Infrastructure & Urban Development Corporation (KIND), Korea Foundation of Textile Industries (KOFOTI), Science & Technology Policy Institute, Korea Agricultural Machinery Industry Cooperative (KAMICO), Korea Land & Housing Corporation (LH), Ministry of Land, Infrastructure and Transport (MOLIT), International Contractors Association of Korea (ICAK), Korea Rail Network Authority (KRNA) and other Korean potential Companies.